Android gets a dose of snark with The Onion application. 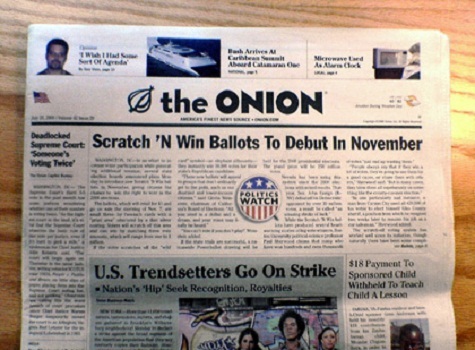 If you’re a fan of The Onion, then you need that smarmy, snark-filled humor wherever you go. Android users now have that option, according to a post over at Phandroid. While it does show limited content on new editions, you’ll at least always have clips of the latest news from The Onion. The back catalog, however, is apparently available in full. Scan the QR code, or search for Onion News in the Android Market to grab it.